Make sure that you have followed the installation instructions. If needed adjust the settings Groups > File Access page. 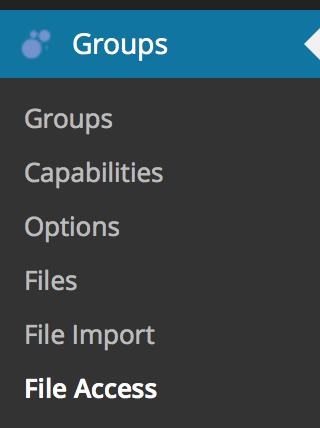 If your setup is adequate, you can manage files controlled by the plugin on the Groups > Files page. Use the shortcodes provided by the plugin to embed download links for group members on your pages or posts. Groups File Access is recommended to be run in a *nix environment on an Nginx or Apache HTTP Server. Other setups are possible, but may require additional manual configuration.